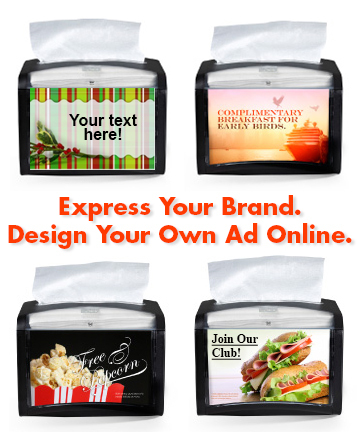 Design Your Own Template to Xpress Your Brand! Or choose from hundreds of templates online! See more cost-saving Food Service & Restaurant, Catering, Paper, Ice Cream, Frozen Yogurt solutions. 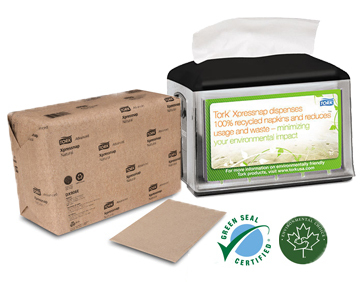 VIDEO: Watch how you can reduce your restaurant's paper waste by 25% with Xpressnap Napkin Dispensers. Contact us for a product sample, pricing, and to place an order. SCA has been recognized by the World Wildlife Foundation (WWF) for leadership in transparency for disclosing their ecological footprint in the 2013 WWF Environmental Paper Company Index (EPCI).